So! I am FINALLY done with the scrap and photo books! I had lots of extra photos that I have divided among the 5 of you and yours are set aside in a nice photo box in your room. You will enjoy going through the photo albums. There are MANY photos of you that you have never seen. I hope that you and your kids enjoy hours of laughter as you browse them from time to time. 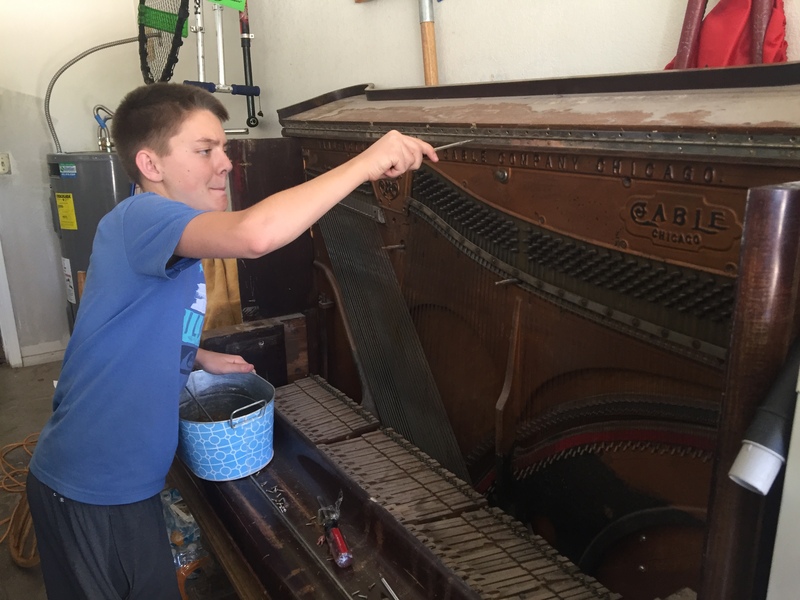 We did a bunch of deep cleaning yesterday, including having that old piano hauled off. 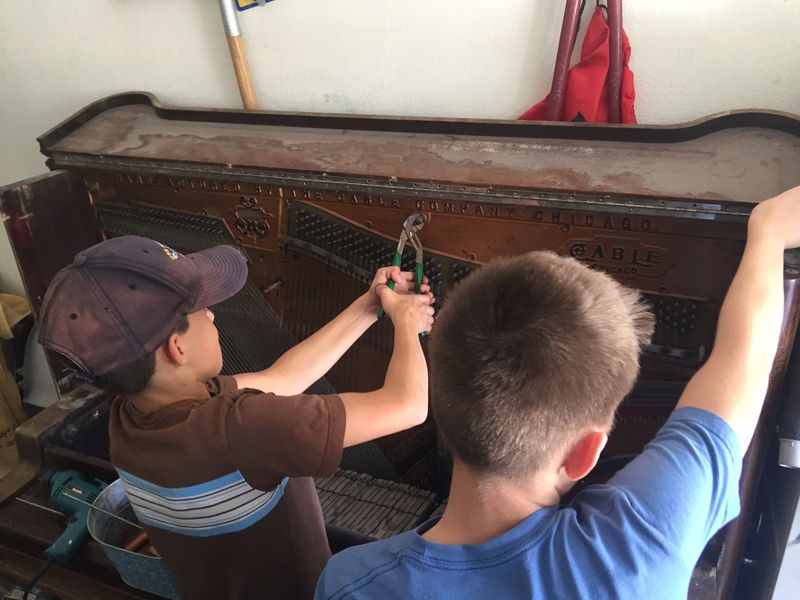 Remember that piano, which came from an abandoned house in our neighborhood, was garbage and that Natalia, Olivia and Curt and I pushed it down two streets to get it in our garage, THEN Adam and Curt have had fun taking it apart. We threw away every single piece that we could get off, many parts, but still it was so heavy and junky. I had to PAY a junk company to come get it. Still, while they were in our carport the owner, John, tried to get $50 more dollars from me, but I stood my ground and only paid him $100. STILL, to pay someone to get rid of someone else’s junk. Oh well, we learned a lot about pianos in the process. I have also thrown away other things from the closets, etc. WHY? I am not sure, except that I know that this fall will be busy and I want to declutter. When you read this, we will be on the road in Colorado beginning our summer road trip. Remember the wonderful Florida trip we had a couple summers ago? We have had so many good ones! Well, now is Adam and Curt’s turn. We are going to Maine, Rhode Island, Connecticut, Massachusetts and such. We will send you some postcards! By the end of this trip Dad will have been to all 50 states, Adam and I to 49, and Curt to 47. You have been to around 40, so don’t worry, you will catch up. We love you! and will be missing you. J.D. and Kay are not coming either – OH, the pains of being grown up. 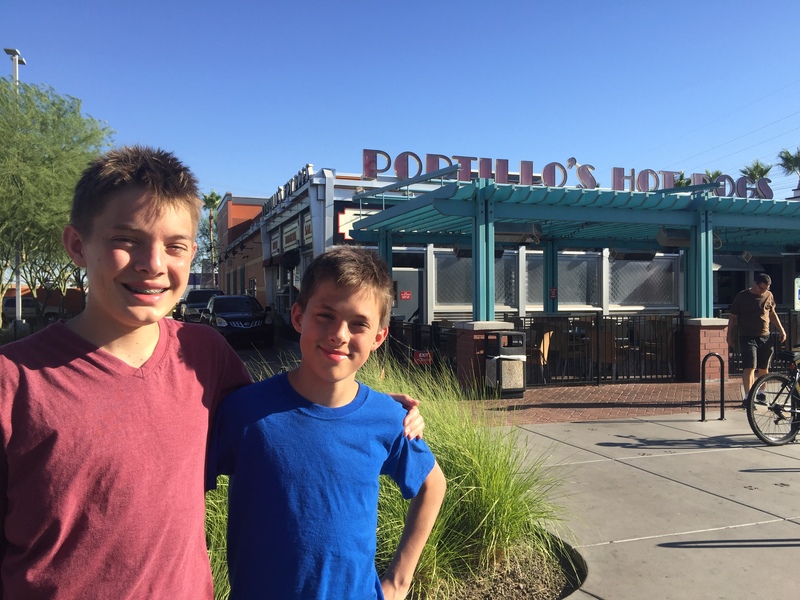 For school kids outing Adam and Curt went to Big Surf and then the 4 of us went to Portillo’s for some Big Beef ;). Uncle Spencer is doing SO WELL. His Candlelight Sports has grown and grown. Now he is creating a franchise and has asked me to start a branch of it in Tempe. I am so excited! Don’t you think that will be amazing at Rover and Fuller? If you think about it, kids want to play. They LOVE and NEED to play. Unfortunately, as you know, the opportunities to play freely outside are diminishing because of our culture of parenting and increased crime. To have sports programs, is not unusual, but they are in the evenings and weekends, require driving distances, and cost a ton of money. The experience can be lacking if the coach isn’t good and the playing time is often compromised by lack of organization and a prideful desire on the part of adults to win. Candlelight Sports fixes all these equations by training their coaches on proven drills and philosophy, by downplaying the competition, by having practices after school AT the child’s neighborhood school and being affordable. I am so glad to be bringing it to our area. I just wish it had been in time for you guys to benefit from it, but that is okay. CLICK HERE for more about Candlelight Sports. CLICK HERE for more about the need for a youth sports revolution. 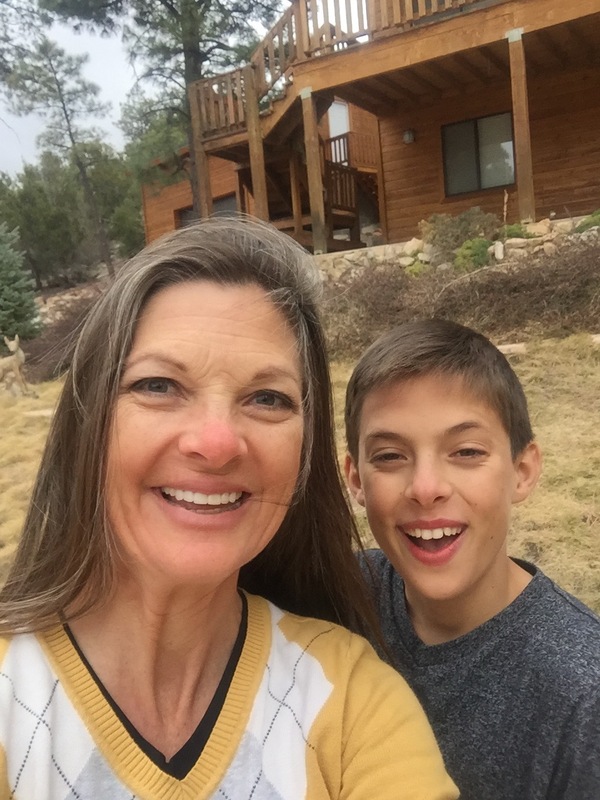 – Highlands Latin Cottage School – 2nd grade teacher on Mondays, did I tell you about this? I am going to be a 2nd grade teacher! at a school that is only on Mondays for homeschooled kids. At Highlands (Scottsdale) they teach a Classic Education (includes Greek and Roman history early on, LOTS of literature and math, and LATIN!) So, Curt and I are going to be learning Latin together. This will be helpful for him if he gets into Tempe Prep. 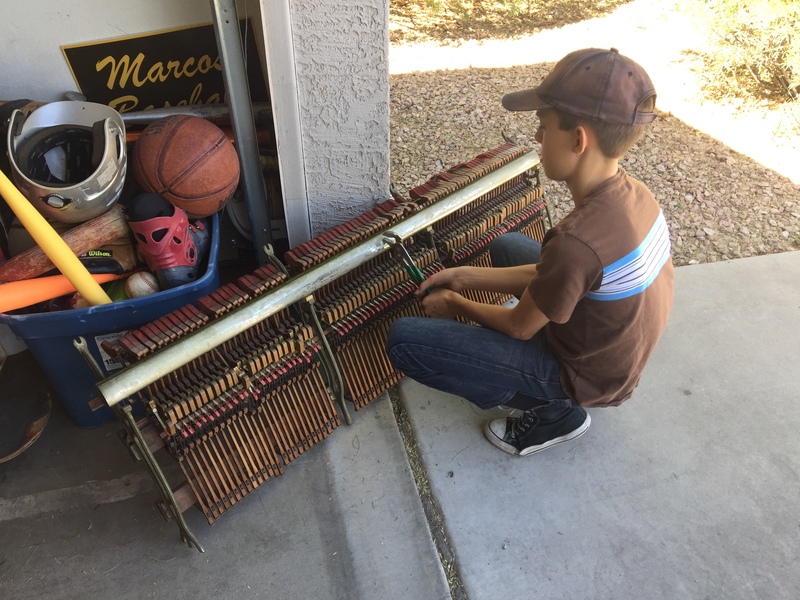 – Piano teaching (I went to the AZ Music Teacher’s Association Conference in Scottsdale three days last week! It was really cool. Very nice talented people!) I have 2 new students (in addition to Curt, Adam, Natalia, and Olivia)! Who would have guessed?! The (keeping confidencial) family are arriving later this month They are originally from The Democratic Republic of Congo. The family consists of the father, Fidele, Aimee, Pacifique (15), Audrey (12), Nyasezerano (6), Ange (1). Cool names, huh? The father speaks some English and is literate in French. He works as a teacher. The mother speaks Swahili, finished primary school and has worked as a housekeeper. The older boys also speak some English as well as French and Swahili. Isn’t that cool?! See? This fall is going to be super busy. I’ve started the Book of Mormon for, what I figured out, the 23rd time. Every time I read it I understand my Savior better. This time, while I read I am going to underline aspects of the enemy, Satan, and His opposite: Light, Goodness, Love, and Truth. I have seen Lehi’s Dream in a whole new light under these themes. 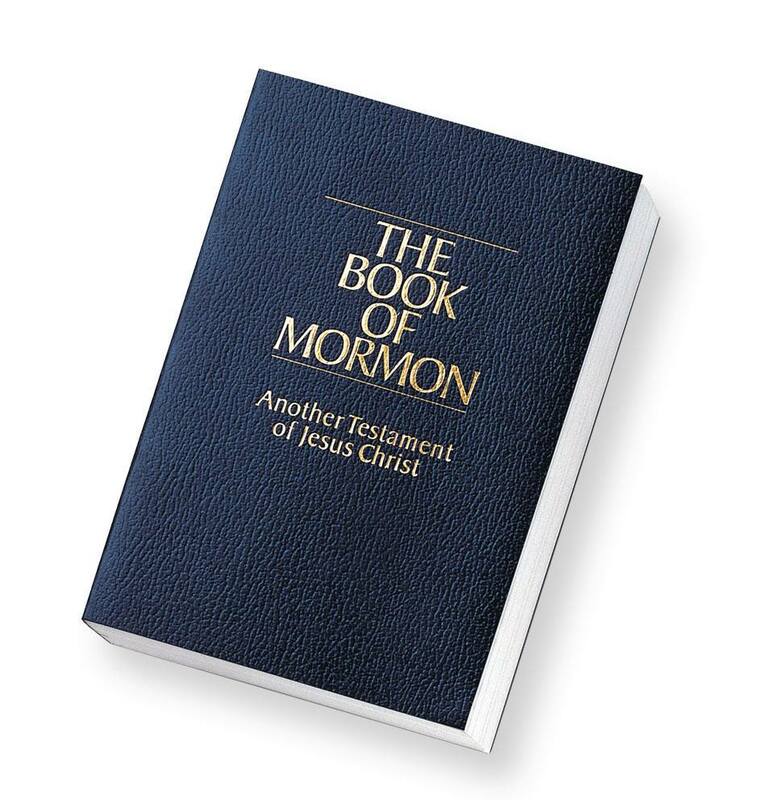 As you say, The Book of Mormon is the most precious book on the face of the planet! I love it! for one, because I learn who to follow and what pit falls to avoid so that I can be happy. Jacob 3:2 fills me with love and light!